Easter is the perfect catalyst for instigating stomach churning bouts of cars sickness. Eating too much rich chocolate before a journey? Check. Yummy hot cross buns for breakfast? Check. Baffling and stifling heat shining through the car windows? Check. 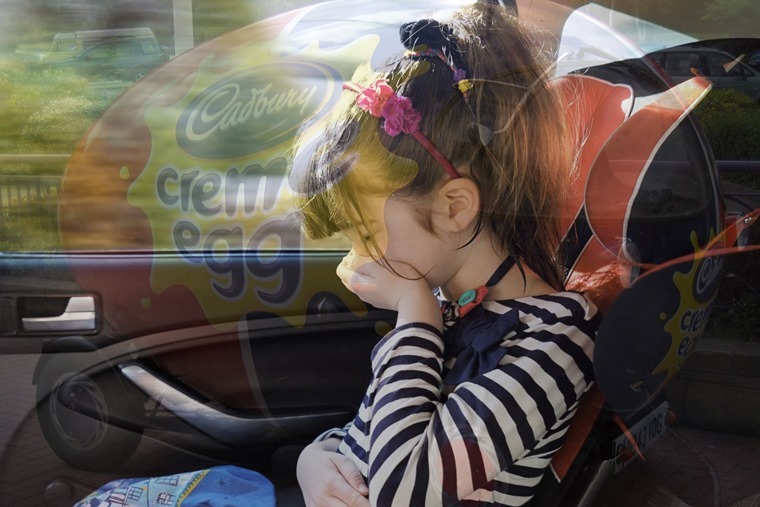 With 16 million people estimated to hit the road for an Easter getaway this weekend, we’re here to provide you with five tips on keeping car sickness at bay. Believe it or not but by seating the passenger in the middle of the row, whether they’re a child or an adult, it can help combat the feeling of road sickness as it allows them to see the road ahead while in motion. If the middle-rear-seat has a three-point (lap and diagonal) seat belt a child seat can be secured easily, what’s more this is also the safest part of the car as it’s the furthest away from the sides. Easier said than done in bank holiday traffic but where possible try and avoid harsh acceleration and sudden braking as this violent motion can do a lot to make passengers nauseous. Another issue, and again it’s easier said than done on UK roads, it to avoid going over potholes where possible as the motion can often be quite violent and this can be the breaking point for people feeling car sick. Often the best way to deal with someone feeling car sick is to take their mind off it in any way possible. The best way to do that, whether they’re a big adult or small child, is with car games or car karaoke, and let’s face it – who doesn’t like an intense go at the Alphabet Game or singing along to some cheesy 80s classics when in the car? Child seats naturally have good head restraints already, but if your rear passenger is an adult ensure they have a pillow handy to support their head and keep it as still as possible. Car sickness is caused by one part of your balance-sensing system (your inner ear, eyes, and sensory nerves) sensing that your body is moving, but the other parts don't, so by avoiding exaggerated motion it can help. Yawning and perspiring are warning signs for a condition that is caused by mismatches between signals the brain receives, so whether it’s the window open to keep fresh air in or the A/C blowing to circulate cool air, this can be enough to quell any feeling of nausea in the back of the car. With all that said, have a great bank holiday!